An early start for my first day back at work (boo!) 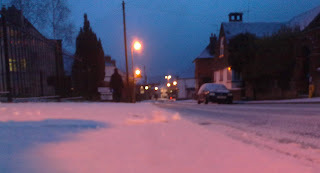 is cheered slightly by a dusting of snow that brightens up a dark morning. Surprisingly the trains are running on time.